– The 4th edition of the French Tech Tour Russia will take place in Moscow from May 28th until June 1st! 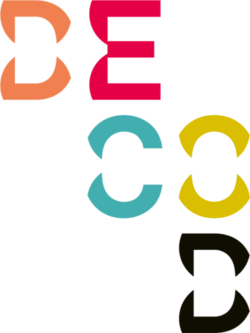 – Don’t miss the opportunity to meet the most promising technologies for Russia! The #FrenchTechTour Russia is a one week immersion tour to accelerate the business development of the most promising French technologies for Russia. The program is running by Business France agency, with the support of Credit Agricole Bank and Paris Region. 11 innovative technoligical companies have been selected by a local jury. The 11 entrepreneurs will spend one week in Russia to reach one objective : to accelerate their business launch in Russia, by meeting as many as potential partners as possible. Moreover, for the 2018’s edition, La French Tech will be exhibiting for the very 1st time at Skolkovo Start-up Village, the biggest start-up event in Russia, where the Frenchies will take part to the official pitch competition. Now let’s get back to The French Tech Tour. Firstly, let us introduce our jury, which consists of highly qualified professionals of tech domain. We thank them again for their time and evaluation: Dmitry CHIKHACHEV, Partner of Runa Capital, Aleksey LAZORENKO, General Manager of Blablacar Russia, Thierry CELLERIN, CEO of BuzzFactory Russia, Isaure DE CROMIERES, Area Manager – Europe & Russia of BPI France, Euryale CHATELARD, CEO of Altima Russia, Odin DEMASSIEUX, International Manager of CAP DIGITAL, Foued KEFIF, Head of Tech & Services division of Business France Russia. As mentioned, the jury of the French Tech Tour made a selection according to the innovation level and the potential of success in Russia of the applicants. ALCMEON is a customer engagement platform that turbocharges leading B2C brands’ customer care on social media and instant messaging apps combining Al, chatbots, automation, and augmented advisors. The start-up has been selected for the 2nd LVMH Innovation Award, which will take place this May in Paris, also they were awarded a number of other prizes: Lafayette Plug and Play, Vivatech, Pass French Tech label. BINLAB offers interactive solutions to showcase resources and enrich visitors’ experience, through touch apps adapted to all touch devices. Enhance your resources and enrich the experience of your visitors after 3 simple steps of an app creation! In 2016 the company got an award “Open Innovation Challenge”, created by GRTgaz. Also Biin participated in the 3rd edition of French American Creative Lab after being selected along with seven other startup’s to participate in this edition, organized by Les Services Culturels de l’Ambassade de France in New York and Business France. 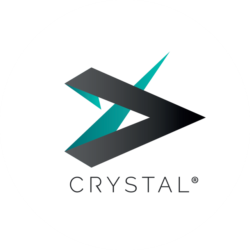 CRYSTAL is a CMS for simplified management of your digital media. Based on an evolutive platform, it mutualizes the best technologies specialized in each digital media to one unified platform. Plus, it simplifies the communication process to the final user. The company was awarded with the EUREKA certifications and became a certified contributor into Samsung Tizen. DECOD is specialized in photorealistic 3D content for key players in the online furniture market. They produce high quality CGI (computer generated images). Among its clients there are Leroy Merlin, DFS (one of the best furnite retail in the UK), The Conran Shop, Sofa.com and other key players and leaders of european furniture market. KEYNEOSOFT’s KEYBUILD for Connected store, is a middleware dedicated to retailers to allow them to deploy a wide range of applications for their customers or for their shop associates. What is interesting, Auchan drew on Keyneosoft’s expertise and used their mobile checkout solution KeyPOS to deploy mobile checkouts. Also to enable its customers to go into stores to pick up products bought online, Ikea has set up a dedicated ordering website called “Click and Collect” based on Keyneosoft’s KeyWebStore solution. DIYA ONE X of Partnering Robotics is the world’s first and only autonomous robot dedicated to the wellbeing of building’s occupants and its energy efficiency. The invention has been awarded with 6 prizes in France, among which are the prestigious Oxygen Awards (Paris), also Partnering Robotics received more than 20 international prizes and awards in technology, innovation and more since the creation of the company. The last ones in 2017: Lockheed Martin’s Helopitch at SXSW (US) , Huawei Digital Inpulse competition, FTT India : Most Promising Business Potential in India. LINAGORA, as e-Gov specialist, is one of the leading open-source software company which brings innovation, open platform and digital independence to its customers. In 2013, the firm became the champion of SYSTEMATIC cluster, the first cluster in Paris region. PAYTWEAK allows to trigger safe & secure 1 click payments from emails, texts, messaging apps, from any device to any device, using any payment methods, in all currencies. The funds comes directly into the bank account with no time, no intermediaries. Paytweak has been awarded during the CES las-vegas for its highly innovative payement services. RENT2SEARCH, our collaborative marketplace, proposes buy/sales or renting high tech tools between industrials or/and researches. Its aim is to optimize their high tech tools and their competences. The company is proud to have the work experience with top educational establishments like Aix Marseille University, Sherbrook University and Stanford University, and with such companies like Peugeot, Malakoff Médéric, Lam Research and others. If you want to get in touch with any of them, please feel free to contact us.